Sadly, it has been SORN for two years now, and although I love it, my SE is beyond my skill level and budget so it had to go. Its gone to a good home though. Phil Rickard of the mail list is the very best person in the world who could have taken it on. It needs a ground up restoration and he's the man. It couldnt have gone to a better place. I have had it for 9 years. I didnt realise it was that long! 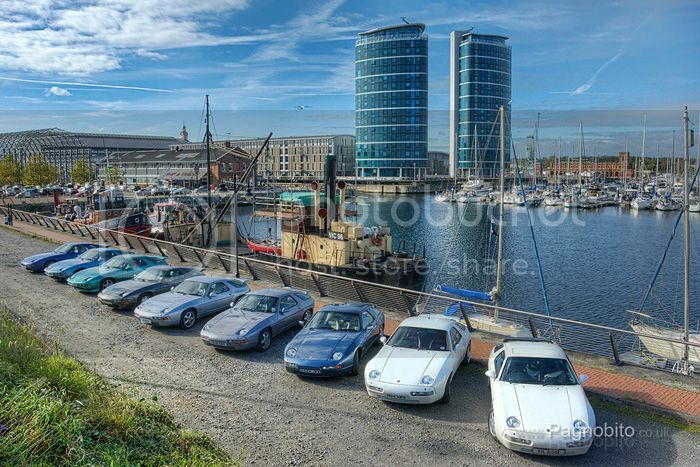 I will pause a while, but I fancy an early early car or a last of the line GTS Auto. Every 928 I have has has been a manual so far and its time for a change! A Frenzy of Sharks – that was the sight on roads to Tilford as pre-meetings turned into convoys. 31 cars parked on the green (with a few early leavers) and green keeper donations came to nearly £120 so thank you everyone for that. For the first time in 14 years rain was the order of the day for most unless you stayed a bit later when the sun finally broke through. “Great day despite the rain - that just made the pub even more fun!” - Steve Sydee. “Cod with new potatoes in a white wine, lemon and dill sauce with black pudding and poached egg - who'd have thought it up, but yummy !” - Paul Lacey. 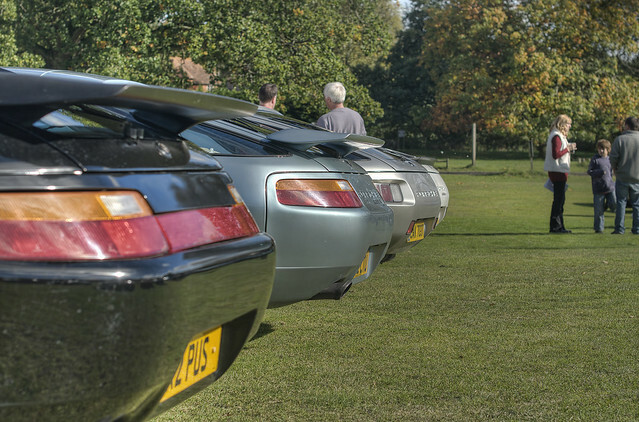 Stewart and Sue do a great job in organising the meeting every year, it has become the main event and probably the only time you can see so many Porsche 928 of various years in the same place in the UK. The meeting is always the first Saturday in October so save the day for 2015 and come along even if you don’t own a 928 as all are welcome. Dropped in to Porsche Service Centre Byfleet yesterday to see the Macan and chat Porsche with them. They are always so welcoming and well worth a visit if you are in the area. Here are some pics. What do you think? I love it. I love these wheels! I'm not sure it would replace the Cayenne but as a second car its pretty interesting. Trouble is they are on an 18 month waiting list.